Poster and Video: Which is the site of Photosynthesis? 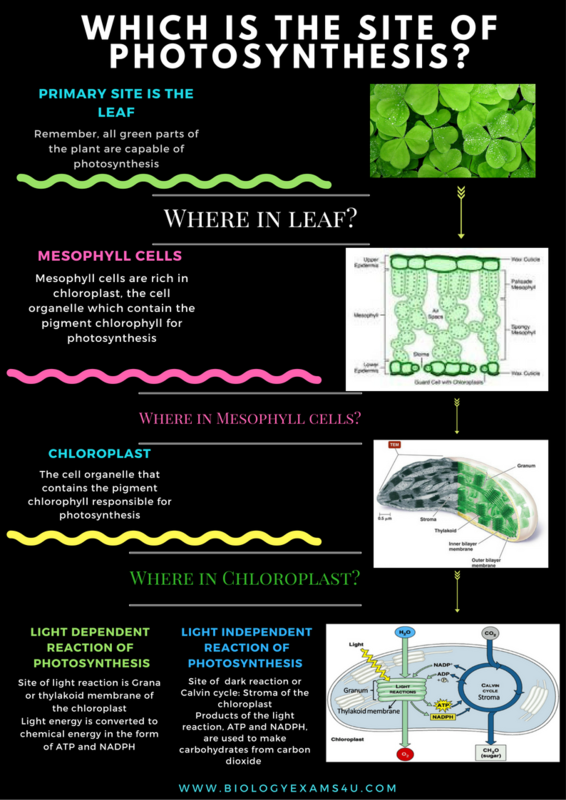 Where does photosynthesis occur? Let us start with the definition of photosynthesis. Photosynthesis is an anabolic process by which chloroplast of green plants and other phototrophs synthesize carbohydrates (glucose) and evolve molecular O2 as by-product, using CO2, H2O and sunlight. A summary poster on the site of photosynthesis showing the exact site of different reactions.